Senior drivers with pristine driving records and plenty of safe miles behind the wheel may be surprised when their car insurance rates rise. But that may occur for a number of reasons. The good news is that many of these reasons are under the driver’s control. Many older drivers either keep cars that don’t have the most modern safety equipment or buy cars that cost more to insure. A car’s features may impact the cost of insurance. According to an article on the consumer website MoneyCrashers, a car with a large engine relative to the size of the body, such as a sports car with a powerful V8 engine, may cost more to insure than a similar type of car with a smaller engine. Are you recently retired or do you work at home, thus avoiding a commute? Tell your insurance agent. The number of miles you drive factors into your insurance rates. When you hand over the keys you’re basically handing over your insurance policy, too. That’s why some states mandate all licensed drivers in a household have car insurance, according to Insure.com. If a relative crashes your car, your rates can change dramatically. When you have a person who regularly drives your car, talk to your insurance agent about adding them to your policy. Depending on the person’s driving record, it may not raise your rates. Even if it does, it might save you money in the long run. Many insurers factor in your credit history and credit score when determining your car insurance rate. So keep them solid. 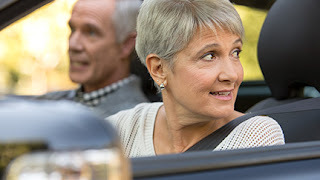 Seniors who live in safer neighborhoods than their children or grandchildren will occasionally allow them to use their addresses when registering cars so that the younger drivers can get lower insurance rates, according to Insure.com. While that might sound innocent, especially if the child or grandchild spends a lot of time at the address, it’s better not to do this. If an accident occurs, the claim could be denied and the policyholder could face other penalties including loss of the policy. If you have any questions about your rates or coverage, be sure to reach out to your Nationwide insurance agent.